Suburban Chicago transit system Pace sent out a weather advisory Thursday to its customers, recommending they avoid travel starting this evening as a winter storm takes aim at the area. "Pace advises fixed route and ADA paratransit service passengers to postpone or cancel non-essential trips beginning this evening, February 8, through Sunday, February 11," the agency said in a statement. Service likely will see "significant delays due to heavy snow and hazardous driving conditions." For those who must travel, Pace recommended warm dress for possible delays. 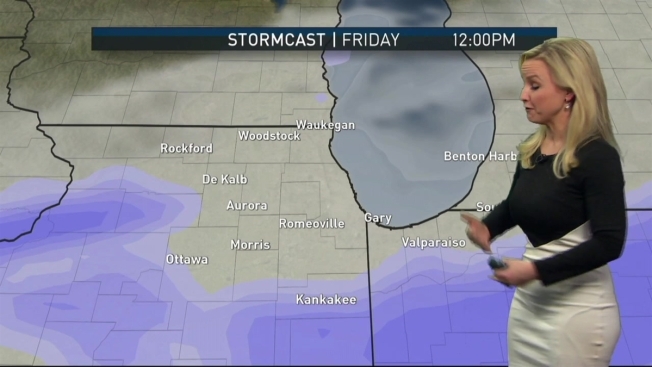 A Winter Storm Warning was issued for the entire Chicago area and northwest Indiana Thursday as the biggest snowstorm of the season so far heads our way. The storm could leave more than a foot of accumulation total across some parts of the region by Sunday. The warning for Winnebago, Boone, McHenry, Ogle, Lee, DeKalb, Kane, LaSalle, Kendall and Grundy counties in Illinois, is scheduled to go into effect at 6 p.m. on Thursday and last through Friday at 6 p.m. The warning in place for Lake, DuPage, Cook and Will counties in Illinois, as well as Lake and Porter counties in Indiana, is scheduled to go into effect at 6 p.m. on Thursday as well, but is expected to last through Friday at 9 p.m. Steady, moderate to heavy snow is likely across the entire area during this time frame.